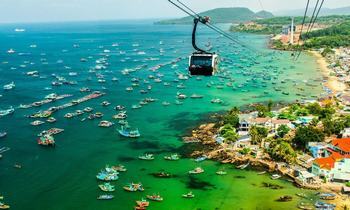 A trip to Phu Quoc Island will never disappoint you with a lot of interesting activities and beautiful landscape. 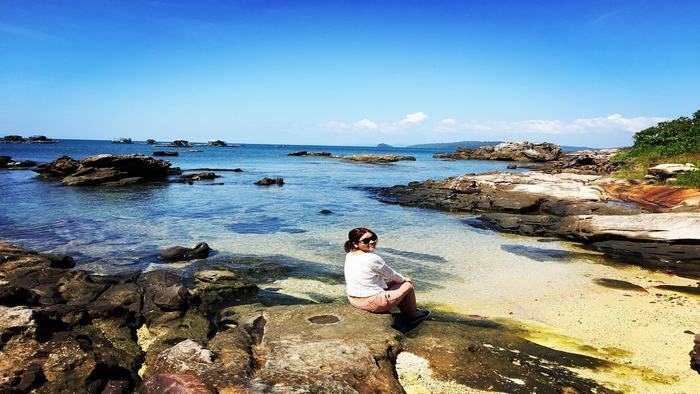 I watch blue ocean chasms, indulge in the cool waters, sunbathe on the golden sand smooth, warm welcome salty sea breezes, pristine natural beauty is only in Phu Quoc. 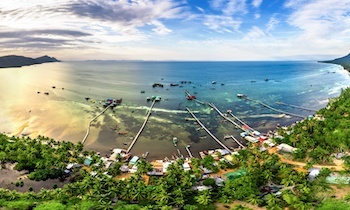 Coming to Phu Quoc (Kien Giang), explore this beautiful island by motorbike to see the feel-good experience. 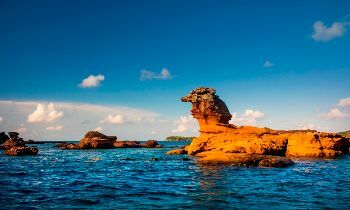 You go through the red dirt roads, through Phu Quoc National Park, north of the island to the beach to pull headlines. As the name “Long Beach”, golden sand stretches, patting each wave. 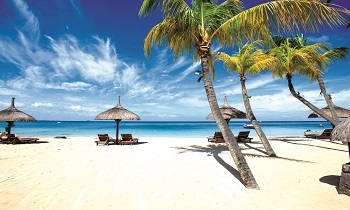 The inhabitants are so sparse as pristine beaches if you will not meet anyone here in the evening or early morning. 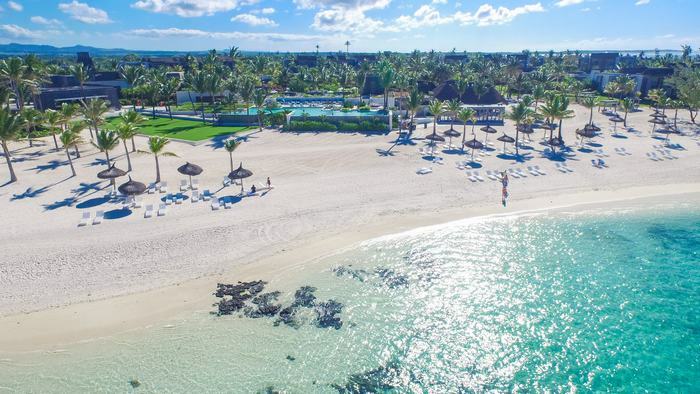 This beach has been voted ABC News heads of five beautiful beaches and clean, but little known to the world. On the way to the beaches, visitors will have to pass primitive forests with many species of birds and wildlife. Many foreign tourists like trekking through the forest, to enjoy cool, fresh back with trees, was heard murmuring streams. The primary forest has been recognized as a national forest with 530 species of higher plants, 365 birds and 150 species of animals including many species listed in Red Book. At noon, a new beach visitors flocked to the beach and sun. Hương, the staff at a restaurant on the beach Sao, said many foreign tourists sunbathe on the beach all day, they said that level with beautiful beaches of Hawaii, Bali … but space where quiet and more romantic. Guests can visit the Ham Ninh fishing village, facing the sea, behind the mountains, life here still seem to remain untouched as long ago. The main occupations are the inhabitants of the pearl diving, fishing net, and sea cucumbers. When the tide, vast sandy beaches run away, filled up at the beach on the edge of the forest. Best of all was to go to Ham Ninh on a moonlit night, enjoying the scene monthly update floating on water. On the way, you should visit Tranh stream, Da Ban Stream, soaking in cold springs resort between jungle. Rocks along the stream, winding through the mountains to the sea air flow. 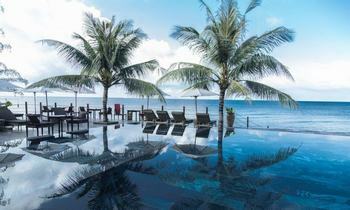 Suoi Tranh is surrounded by lush greenery, the water is clear mild. 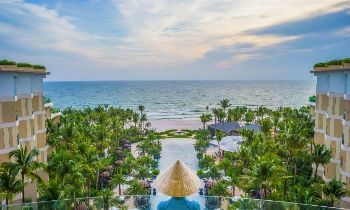 Phu Quoc island is the centre of Duong Dong town, a beach town located adjacent to embrace a series of resorts to create the block “resort”. 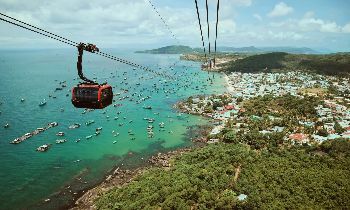 Dinh Cau Temple is near to the summit of his two churches, representing the governing river estuaries always bless fishermen having to wind waves. 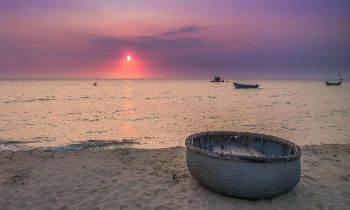 Dinh Cau not only tourists away by the mystical legend but also an attractive place to enjoy the beach at sunset. Behind the shrine is a beacon of Duong Dong horns rising only way for ships at night. Not only the sea, mountains, rivers, Phu Quoc, is also remembered in history with many heroic struggles of the national hero. Nguyen Trung Truc Temple commune where Ganh Dau commemorates the heroic French ships were burned on the Nhat Tao River on 11/12/1861. After the death in the river Cua, he fell into enemy hands, but not available rebuffed calls for cooperation, were executed at Rach Gia. The present work is the coconut capital of Phu Quoc Prison is prison the French. It has imprisoned 40,000 soldiers, about 4,000 people who stay here permanently. Currently, Phu Quoc Prison retains any kind of torture the U.S. government disguised as tiger cages, cell, or the nails packed into the prisoner. 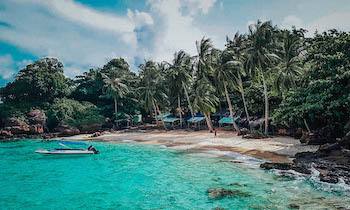 To Phu Quoc, you will be familiar to locals foot gentle nature, they always welcome visitors with a smile and the friendly hospitality of the generous people of the island country. They are willing to share with you the addresses of travel, accommodation, accommodation, or the local cuisine … at Duong Dong market, you will get immense dried squid, dry drowning, dry anthem, bloated fish, sea bass and lots of dishes prepared with its own flavor to buy as a gift. 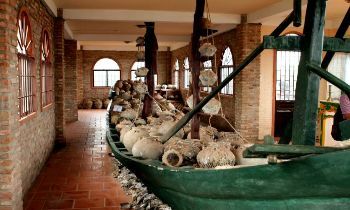 Or bottles of Phu Quoc fish sauce is delicious, not only domestically but also tingle sound sonorous throughout the world. 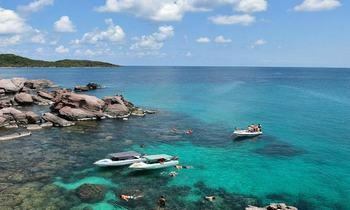 For more information about tours in Phu Quoc, please visit our website. If you have any questions, feel free to contact us. Share this article with others if you find it useful. Have a nice trip!